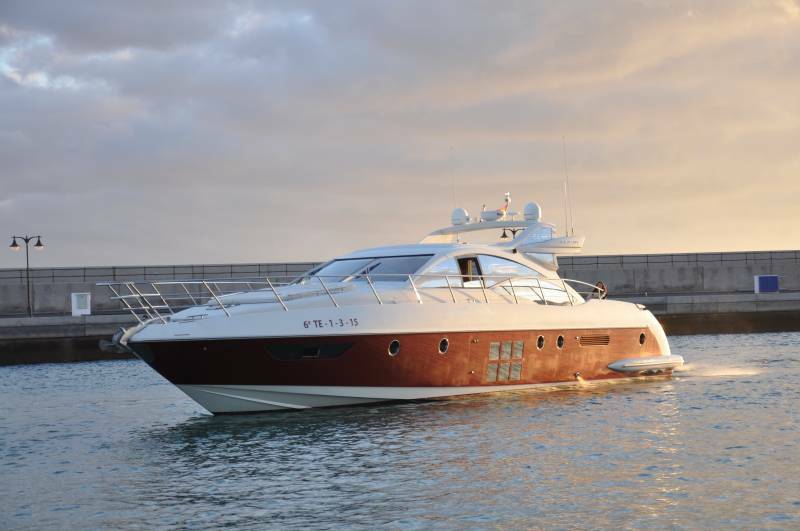 Enjoy all the exclusivity on this stunning luxury yacht. In any departure, on board you can ask all kinds of high quality drinks and snacks (champagne, wine, salmon, caviar, etc). 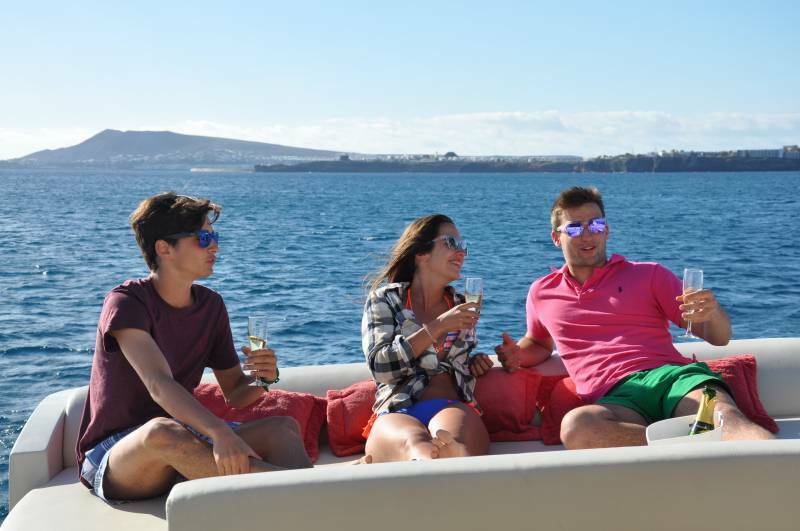 In a full day excursion we suggest navigate to the Isla de Lobos where after enjoying a bottle of champagne or a good Gin Tonic, we will sail to Papagayo Beaches, where our dinghy will serve on board the food you have suggested or we will cook on board what you desire. After lunch and drink coffee, you will choose if you want to enjoy a total relaxation, go to the beaches or dive with our submarine scooter. 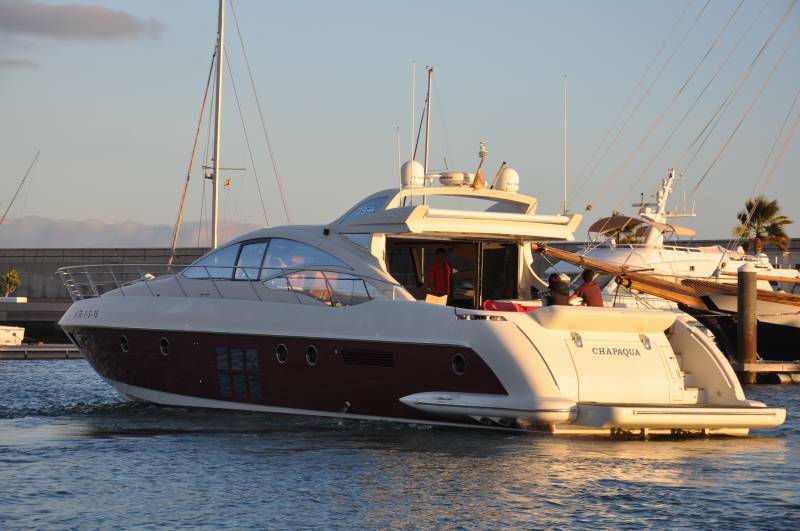 The Chapacua, is the largest luxury yacht around Canary, it is available in Lanzarote, es el el mayor yate de lujo de todo canarias, esta disponible en Lanzarote, in Marina Rubicón, what for you and your family can enjoy a holidays 5 Star. 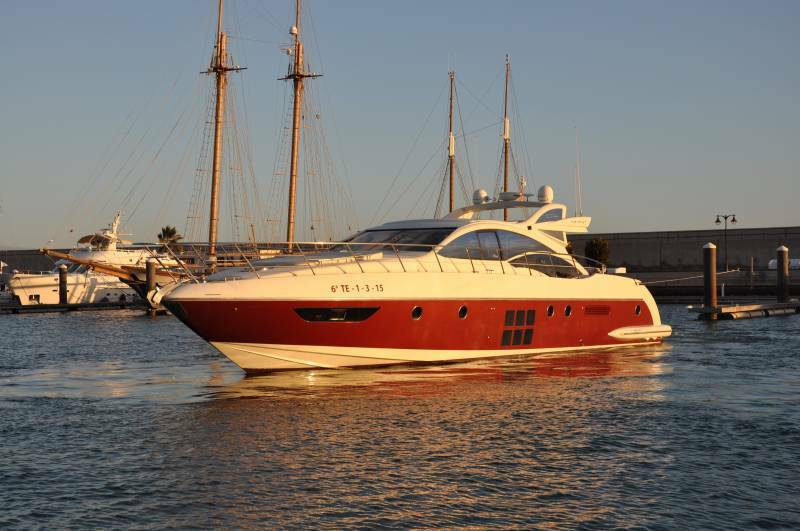 Enjoy this stunning luxury yacht Azimut 62 in all Canary Islands. 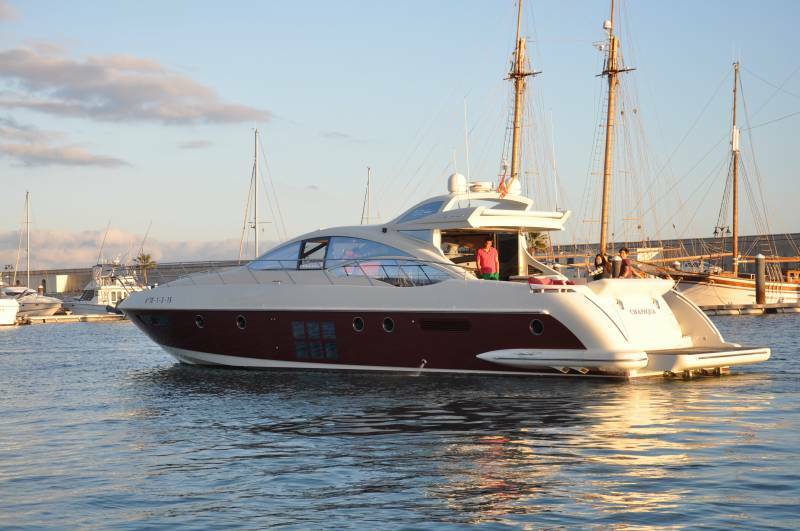 Renting this yacht with skipper and sailor, you don’t need to worry about nothing. We suggest you enjoy Lobos island, or the beautiful Papagayo beaches, which pleasure we accept any suggestion that you can do to spend the best holidays with us. 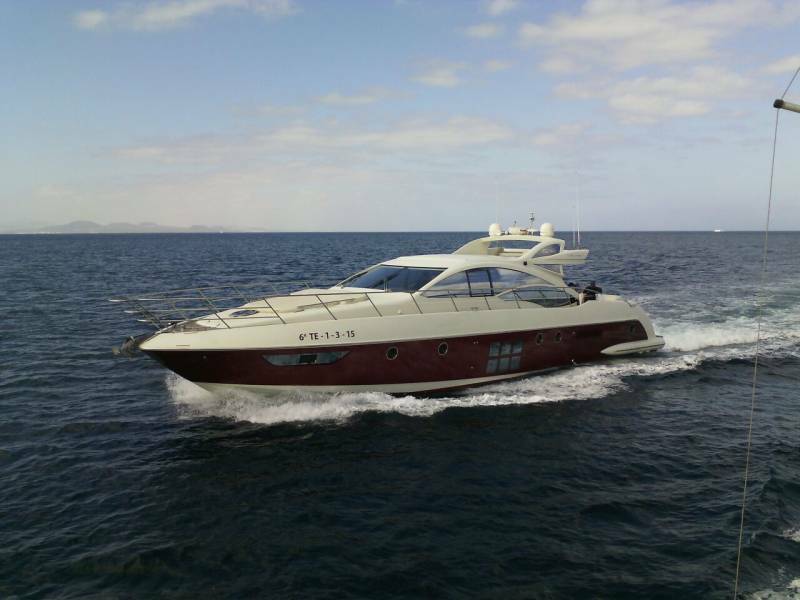 For more than one day rentals we suggest the route: Isla Graciosa, Isla Alegranza, Fuerteventura, Las Palmas, or a weekly cruiser on the Canary Islands. Motors: 2 Cartepillar C18 – 1015 CV. Rent with skipper, crew and sailor. 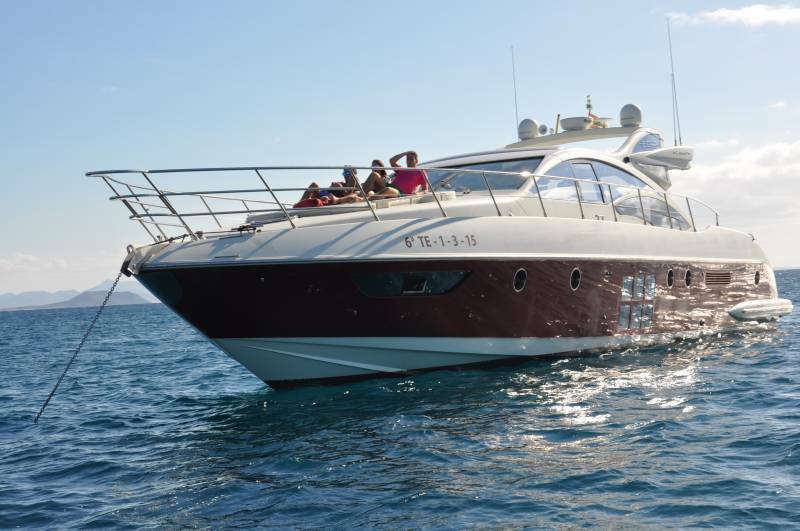 Price: 1 full day, charter to Lobos Island and Papagayo Beaches: 3.200€ | Half day, costa de Playa Blanca coast and Papagayo beaches: 2.100€ (TAX not included). Terms of payment: 50% upon booking; Remaining 50% 4 weeks before shipment.